Ships tomorrow if you order in the next 18 hours 6 minutes. As much as you try to maintain healthy-looking hair and skin, there are some factors that fight you at every turn, including environmental elements, high stress levels, and even toxins from the foods you eat. Aubrey Organics offers an organic product that may be able to help support and maintain your hair and skin health on a daily basis. 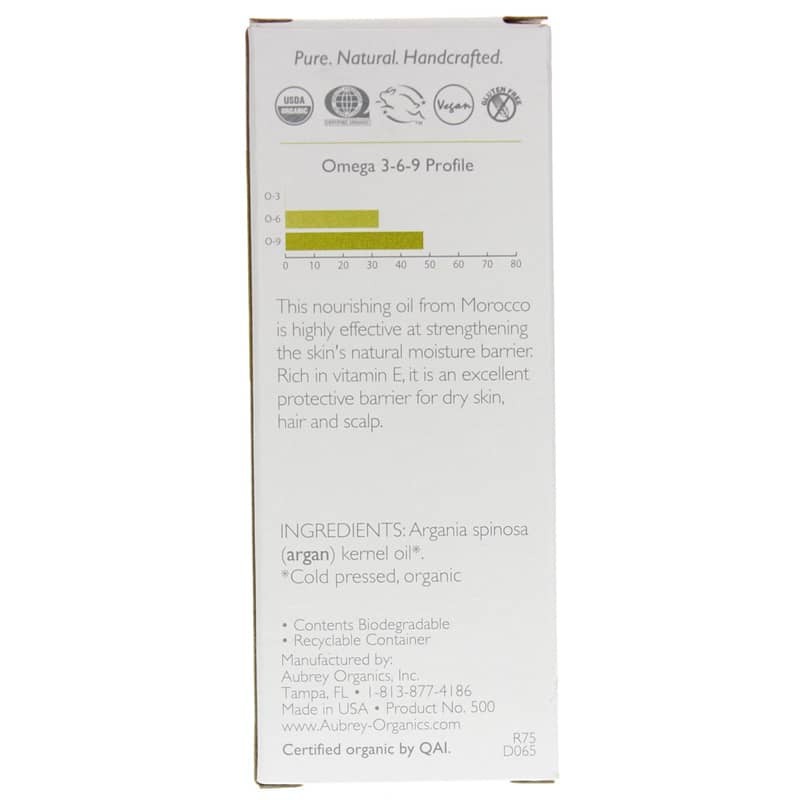 Certified Organic Moroccan Argan Oil is a cold-pressed oil that provides omega-6 and omega-9 fatty acids to help you maintain healthy, hydrated hair and skin. Every batch is manufactured without the use of gluten. 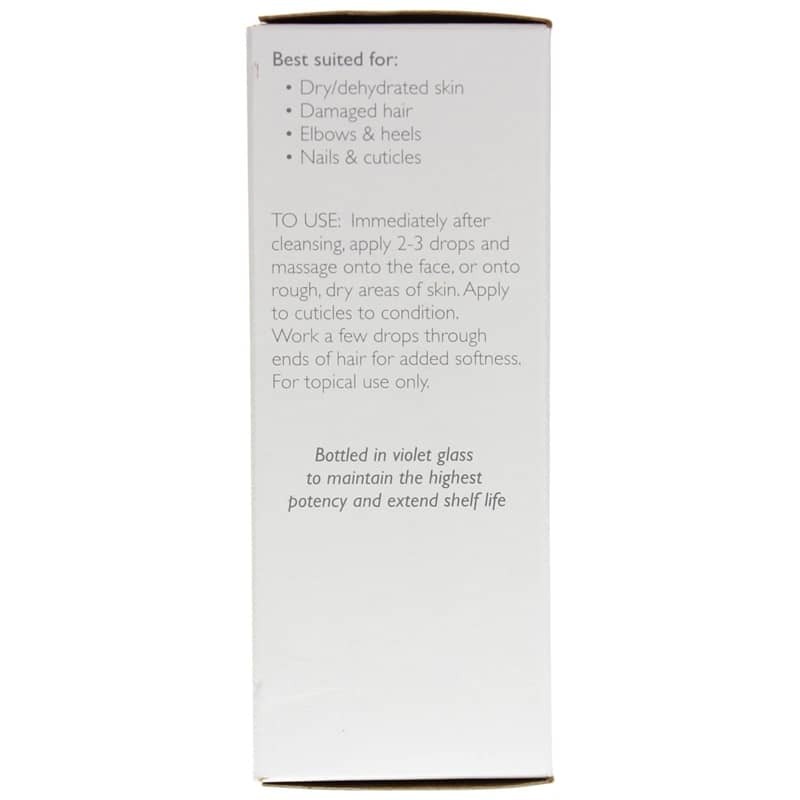 It is cruelty-free, never tested on animals, and is 100% vegan-friendly. Make the right choice to give your skin some gently hydration. 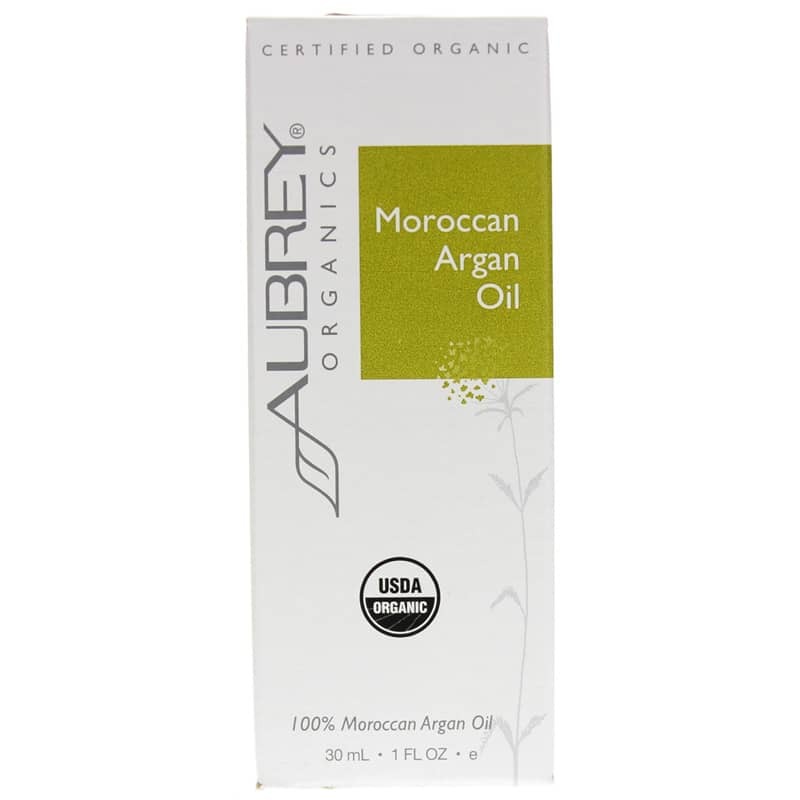 Give Certified Organic Moroccan Argan Oil from Aubrey Organics today, and see the difference it may be able to make in the appearance of your hair and skin. Order now! Immediately after cleansing, apply 2 to 3 drops and massage onto the face, or onto rough, dry areas of skin. Apply to cuticles to condition. Work a few drops through ends of hair for added softness. For topical use only. Keep out of the reach of children.